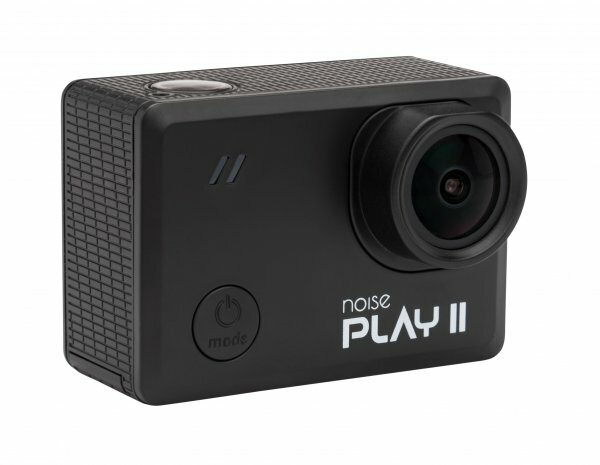 e-commerce brand, Noise has introduced its second action camera, Noise Play 2, which is waterproof and rugged at a price of INR 9,999. It it available on Flipkart and gonoise.com. The Play 2 is designed for recording action and has the capability for clear and sharp image mode. It offers varied resolution options, loop recording, dynamic range ability, electronic image stabilization for smooth footage and ultra-sharp look to the videos/images. In addition, it comes with features like colour, contrast, in built microphone as well as support for external mic & motion detection. It also has a mode called ‘RAW’ which is exclusively for the professional photographer in you with manual settings to take pictures. Play 2 sports an immersive display of 2.0″ TFT LCD, powerful optimized resolution and video & picture formats. The Noise Play 2 also offers in-built Wi-fi and long-lasting chargeable battery. Additionally, it also features F2.8 Aperture, 7G glass lens, microphone (Built-in as well as Support external), built-in speaker and has Mini USB, Micro HDMI & Micro SD Slot ports. The MRP of this camera is Rs. 13,999 and the retail price for Play 2 will be Rs. 9,999. The accessory kit will be sold separately at Rs. 3,999 (MRP), SP will be Rs. 2,499. The accessory kit also includes 16 GB Class 10 memory card alongside standard accessories such as waterproof housing, handle bar mounts and base plates.